Went to Massabesic Lake on this day with my wife Jacinta and son Ryan. It was their 1st time ice fishing so they were nervous and excited. I was just excited. 😉 We went out for a VERY short trip. But we did bring all of the gear including the portable ice shanty. The bait shop ran out of bait though. 😦 so we used worms. Set out a few traps, showed Ryan how we drill the holes, clean them out with a sifter, and then rig the tip up with bait and set it in the hole. He did a great job at cleaning the holes and was right behind me with the worms. We went into the shanty to warm up with the heater and hang out. We were only out for a couple of hours but it was fun to be with them. They both were also thrilled about the concept and want to do it again. 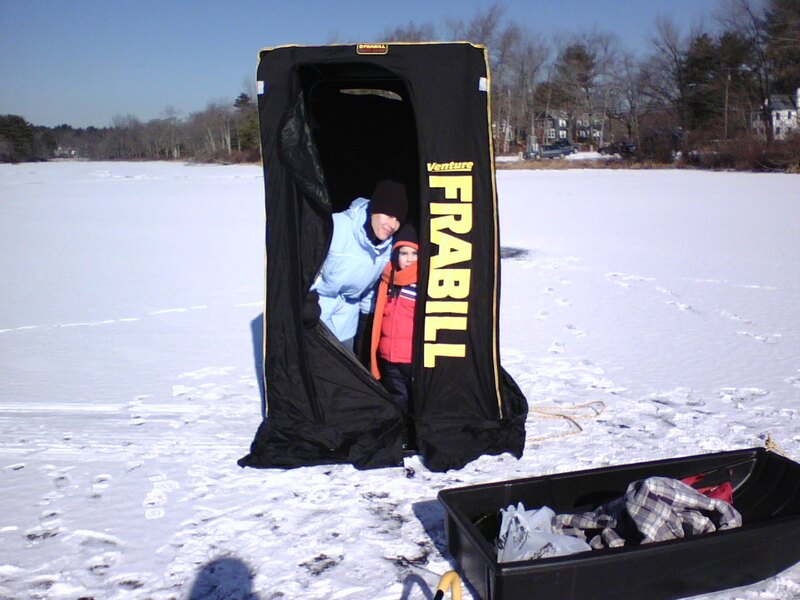 This entry was posted on	January 27, 2007 at 12:30 am	and is filed under Ice-Fishing.